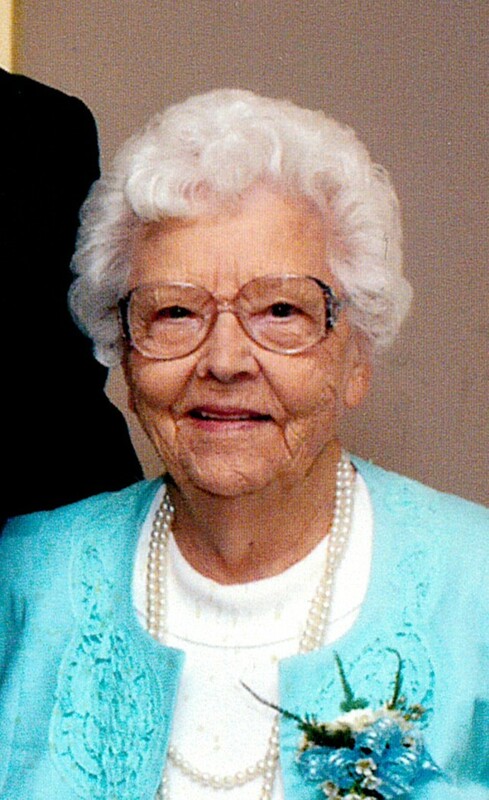 Kathryn Maxine (Taylor) Potter, age 98, of Republic, MO, was called home to be with her Lord and Savior on March 26th, 2019. Maxine was born April 28t.h, 1920, to Olive D. (Murphy) Taylor and Elmer E. Taylor. At the age of two she moved with her mother and Grandfather Murphy to Virgil City, MO, where she grew up and attended grade school. She graduated from El Dorado Springs High School. She worked in Kansas City, MO, for a short time but moved back to Nevada, MO and worked for J.C. Penny’s and later for Southwestern Bell as a telephone operator, where she soon met the love of her life, Preston Potter. They were married on June 21st, 1946. Together they bought a farm and moved to the Olympia area, where they farmed for 55 years. To this union four children were born: Saundra Collins, of Colorado, Lloyd Potter, deceased, Peggy Price, of Republic, MO, and Kathy Potter, of Republic, MO. Maxine loved to garden, cook, read, work crossword puzzles, and play with her children and grandchildren. She was an amazing woman, mother, grandmother, and mentor. Besides her three children, she leaves behind seven grandchildren: Derrill Price, Danielle Price, Sally Collins, Patrick Collins, Stephanie Rawlings, Stacy Huggins, and Scott Potter; nine great-grandchildren; and two great-great-grandchildren. Maxine lived her life for her children and grandchildren and felt each and everyone was a special gift to her who she loved with all her heart. She lived her life to the fullest and left us with a wealth of memories. She will be greatly missed. Graveside services for Kathryn Maxine Potter were held on Wednesday, April 3, 2019, at 1:00 p.m. at Virgil City Cemetery. Arrangements were under the direction of Bland-Hackleman Funeral Home.